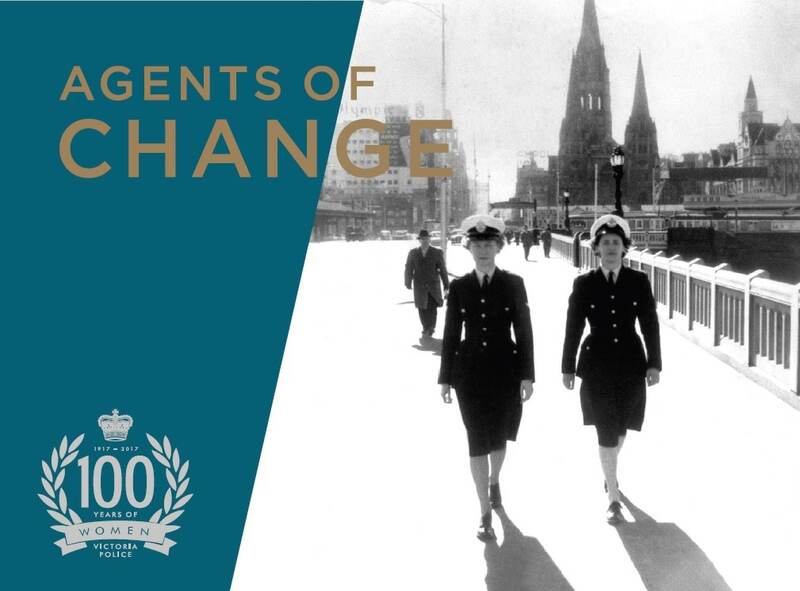 Opening in 2017, Agents of Change celebrated 100 Years of Women in Victoria Police. The exhibition featured uniforms from bygone eras, original records from the first policewomen and oral histories from policewomen in the 1950s through to the 1980. Riding on Tradition featured a selection of contemporary and historical photographs that portray some of the most iconic and well-loved faces of law and order in Melbourne. Behind the Badge featured the photographic portraits and personal stories of 10 women serving in Victoria Police. Whilst each had their own unique journey in their policing career, all shared a deep commitment and passion for the job. Welcome to the world of police technology. 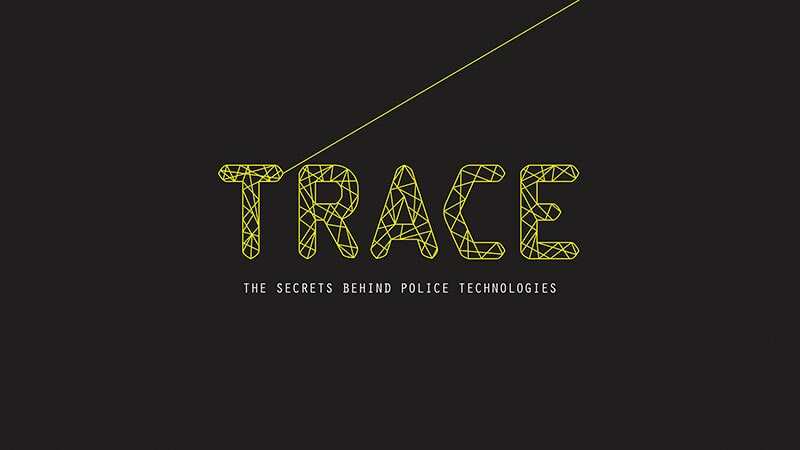 From the electric telegraph to advanced facial recognition, discover how technologies have enabled police to solve crime in new and groundbreaking ways. The 100th anniversary commemorations of WWI offered an opportunity for the Victoria Police Museum to share unique stories about the role and sacrifices of Victoria Police officers both at war and on the home front. Above and Beyond provided a fascinating and often moving insight into the personal stories of its members, who served both their community and country. The exhibition, proudly supported by the Victorian ANZAC Centenary Committee, would not have been possible without the work and dedication of researcher, author and retired member Mr Malcolm (Mal) Grant. Mal is one of the Victoria Police Museum's most dedicated volunteers. His book They Served in Blue Khaki and Blue traces the 138 Victorian Police who served in WW1. 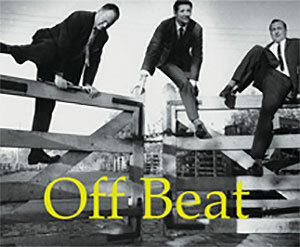 The 1960s was a period when Australians were questioning society, politics and the law in ways that would have a lasting impact. What would you do if the government forced you to go to war? How would you speak out in support of issues like equal pay for women? Imagine if you were arrested for buying books like Lady Chatterley's Lover or for wearing a skimpy bikini to the beach? 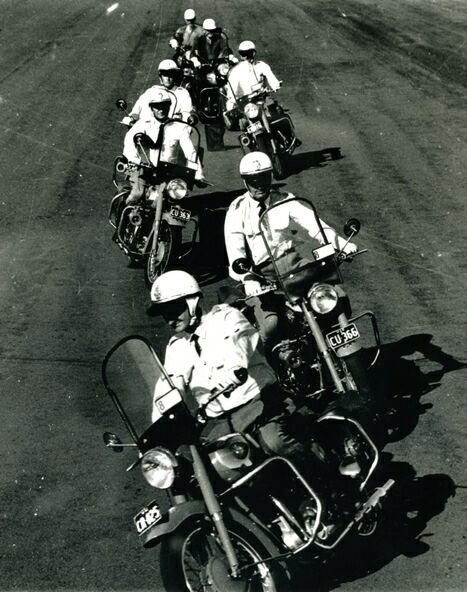 Protest, Peace and Progress: Australian Society, Culture and Law in the 1960s explored how Australians created change in the '60s. 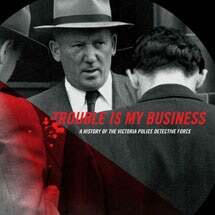 Trouble is My Business explored the history and formation of Victoria Police's detective force since its inception back in 1844. Tracing the very first time forensic techniques – such as blood pattern analysis were used by maverick detectives in the 1920s – to the creation of specialist crime squads, the exhibition reveals the details and diversity of work carried out by detectives. Discover what makes a detective unique, find out what the Shadow Squad was, see forensic evidence from real cases and learn how detectives of the future will solve crimes. From the archives of the Police Museum came these, well, downright bizarre photos that were just crying out for funny captions! We asked our Facebook friends to dust off their comedic timing and enter their best captions. The winning entries were judged and the best of the best chosen to accompany the images. 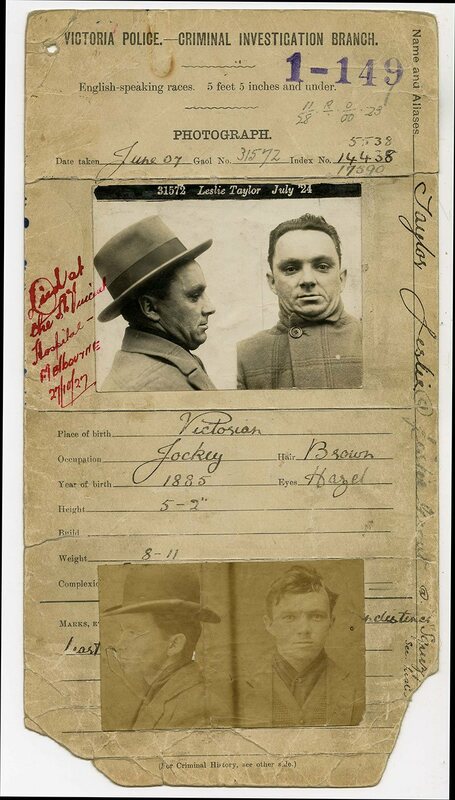 This exhibition of 1930s police mug shots provides a view of Melbourne’s delinquent citizens through the eyes of the police photographer. Meet Victoria's criminal class in an exhibition of prisoner records. Dating from the 19th and early 20th centuries. This rogues' gallery included murderers, abortionists and some persistent villains classified as 'habitual criminals'. From the mysterious to the mundane, the Yarra River is a central feature in many of the stories that make up Melbourne’s history. The Victoria Police Museum’s exhibition, Yarra: Morgues, Murder and Mayhem, peered deep into the depths of our river’s history to uncover stories of daredevil stunt men, grisly murders and unrestrained industry. Discover how a linguistic bungle led to the naming of the Yarra, why Melbourne was once known as Smelbourne and why police decided to preserve the head of a murdered woman in a jar in 1898. Yarra: Morgues Murder and Mayhem was an eye-opening exhibition that went on an unexpected journey along the Yarra River. Horses to Horsepower: Victoria Police on the Move, used photographs drawn from the Victoria Police Museum’s Ian Meates Collection to look at the way Victoria Police made the transition to motorised transport in the early 20th century. A feature of the exhibition is a fully restored 1958 Ariel Square Four motorcycle. This exhibition celebrated some of the weird and wonderful images of Victoria Police held in the Museum’s photographic collection. Inspired by the quirkiness of the images, the Museum held a caption writing competition, inviting police members and the public to submit their funniest captions for the 10 images displayed. The captions that accompany the photographs were voted the best out of over 300 entries. Focusing on the police murders at Stringybark Creek by the Kelly Gang in October 1878, this exhibition provided audiences with a unique insight into the history of the Kelly Outbreak. Showcasing the museum’s significant collection on the history of the Kelly Gang, audiences encountered objects that had never been seen before, including a map depicting the site of the Stringybark Creek ambush, hand-drawn by the sole surviving police officer, Constable Thomas McIntyre. Also on display for the first time were Ned Kelly’s blood-stained cartridge bag, recovered by Sergeant Steele at the Glenrowan siege in 1880. 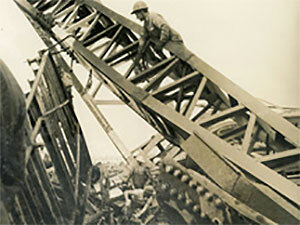 On 15 October 1970, at 11.50am, Melbourne’s West Gate Bridge collapsed. Thirty-five workers plunged to their deaths and numerous others were injured in what has been described as the worst industrial accident in the history of Victoria. In the Royal Commission that followed, the bridge was found to have serious structural design flaws and the design, and the construction companies in charge were blamed for their incompetence in carrying out the project. The photographs in this exhibition were used by the Royal Commission to assist in making its findings. Taken by police photographers, the images show in detail the magnitude of the scene and the dangerous and difficult rescue job undertaken. This exhibition featured captivating crime-scene photographs taken by Victoria Police photographers in the 1920s, 30s and 40s. 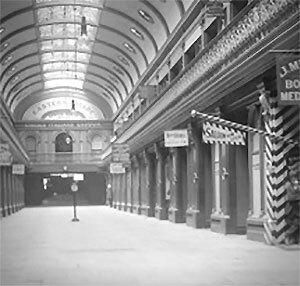 Reproduced from the Victoria Police Museum’s glass-plate negative collection, the images are an incredible documentation of life in early 20th century Melbourne. Originally taken for purely scientific and investigative purposes, these photographs were meant only for the eyes of detectives, lawyers or jury members.